Social media can be a place where you get a sense of community with the people around you, but it can also be a highly toxic domain where people don't take into account the fact that you are a living, breathing human being. They can often pass some pretty bigoted or offensive opinions, and YouTube in particular has been dealing with the brunt of a number of highly damaging comments. Instagram is no stranger to this sort of thing. This social media app is arguably the epicenter of the Gen Z, visual age, and this means that a lot of the people on the platform have suffered due to mean comments that were left on their posts. These comments are often little more than cyberbullying, and every social network has been trying to get ahead of the matter. 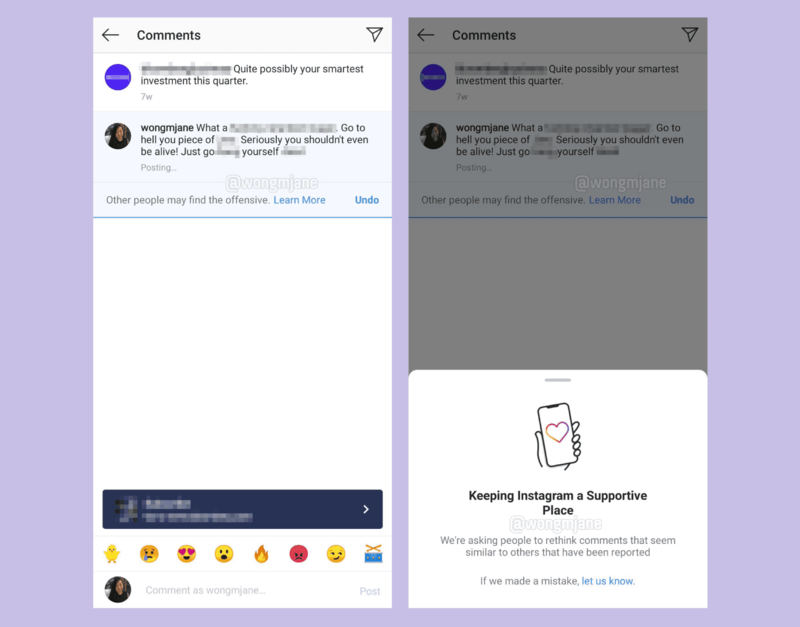 Instagram’s latest attempts at preventing hate speech from surfacing involves a pop-up message that you will see if you try to post an offensive comment. This pop-up will state that your comment is similar to other comments that have been reported for being offensive and that you should think before you post it. As noted by app researcher Jane Manchun Wong, if you post it anyway, this will result in a temporary ban on your account. This could potentially be a very effective way of reducing the impact on offensive comments because of the fact that it appeals to a human’s better nature and tries to give context to the harm that they may be causing.